One of the worst assumptions to make is that your choice of ammunition for target practice doesn’t matter. Although it may seem logical that you just need something to go “bang,” reality is you need to put thought into everything your gun eats, whether for training, play, or self-defense. If ammunition isn’t made properly it isn’t just a failure to feed (FTF) or failure to eject (FTE) you need to worry about, it’s damage to your gun that could result in costly repairs. Knowing the manufacturer is important, and although there are quite a few reliable, young companies out there, it’s also nice to buy from a company with experience in the triple digits and a reputation that has kept generations happy. Winchester is one such company. They were founded in 1866, and with more than 150 years of experience and dedication to quality, their products are even better today than they were before. All their products are made in America by a trained team to strict specifications, and as your father and father’s father before you knew, they have a reputation of truly legendary proportions. 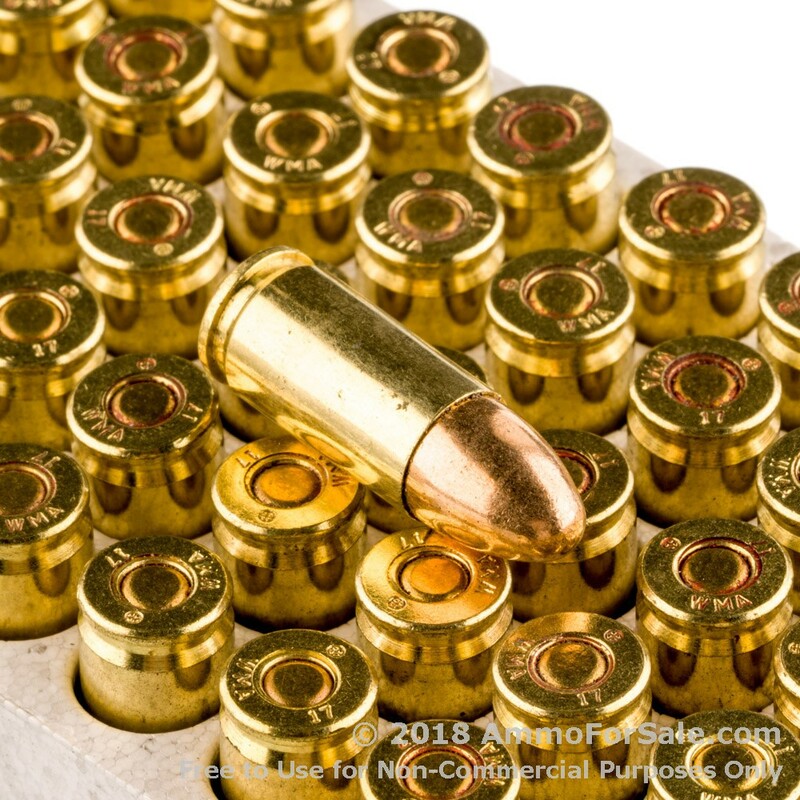 This ammunition is new production, non-corrosive, brass-cased and boxer-primed, and while that does mean you can reload, it also means it’s better for your gun. And that’s not all. 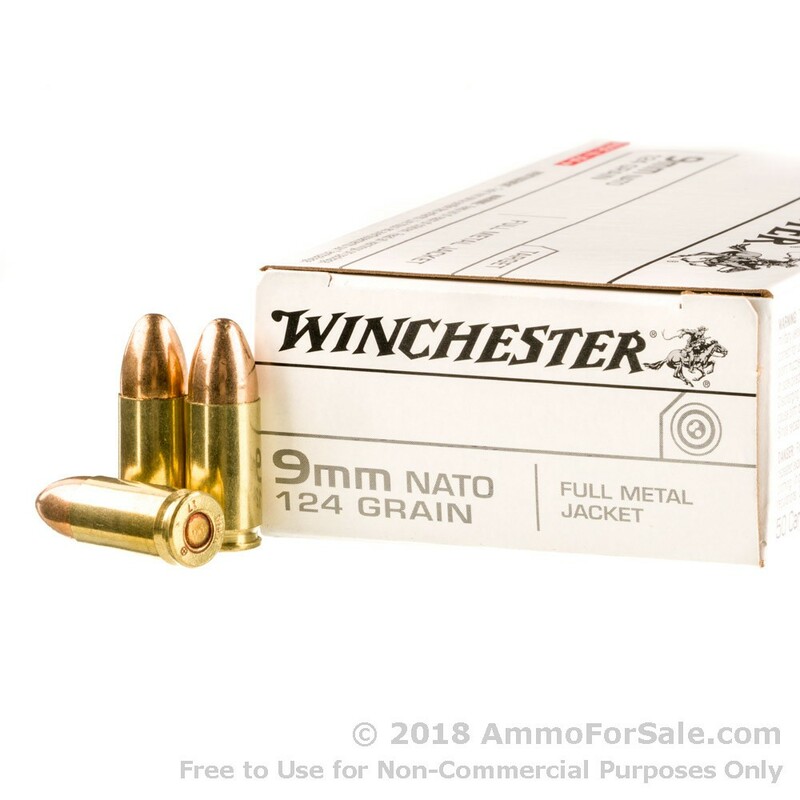 These are Winchester’s NATO rounds, made specifically for our military. These are true high-quality target rounds. 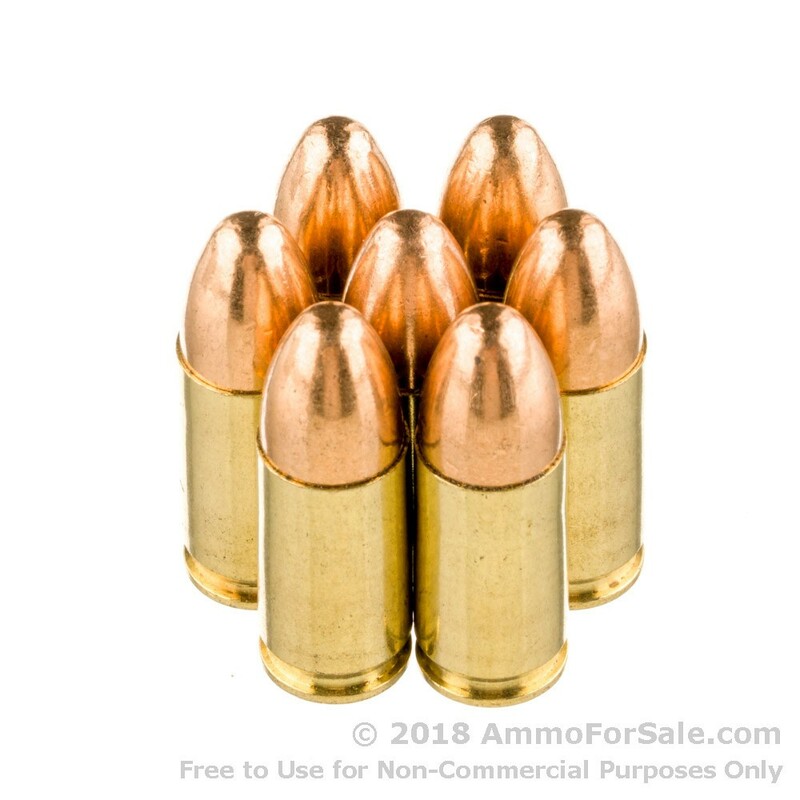 These FMJ rounds are created just to meet training needs such as target practice, tactical training, and, of course, plinking. At 124 grain they’re medium-weight, so they’re light enough to attain great speed while heavy enough to impact your target with a bit more oomph. They have a muzzle velocity of 1,140 feet per second and a muzzle energy of 358 foot-pounds. You get 50 of these military-grade target rounds in the box, which is enough to get you started – so you might want to order more than just one. Don’t buy just any ammunition, not even for practice. 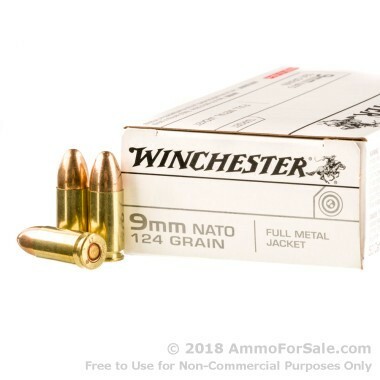 Buy Winchester.